age of 4, from her aunt Guru Kala Vijayan (recipient of the Sangeeth Natak Academy Award) and performed her Arangetram in Bharatanatyam at the age of 5. Her mother, Guru Sreedevi Rajan, a renowned dancer and teacher, taught Smitha her first lessons in Mohiniyattam and Smitha performed her Arangetram in Mohiniyattam at the age of 6. She had her training in Kathakali from her legendary grand father, Late Padmasree Kalamandalam Krishnan Nair and his disciples, Damodara Pisharadi and Fact Padmanabhan. Smitha also learnt Carnatic music from Professor (Late) Kalyanasundaram for over seven years. She has also learned Kuchupudi in her grandparent's institution, Kerala Kalalayam in Tripunithura, Kerala, for over four years. Smitha is a member of numerous cultural organizations and is associated with many television networks in India and abroad and has received numerous awards and honors. Well versed in Kathakali and Bharatanatyam as well, she actively performs all over the world in both Mohiniyattam and Kathakali. Since her early teens, her primary focus has been Mohiniyattam and commitment to the rich heritage handed over to her by her legendary grandmother. Smitha resides in Saint Louis, USA, with her husband, Mr. Jyotis Balasubramanian and her two children, Jaidev and Abinav. 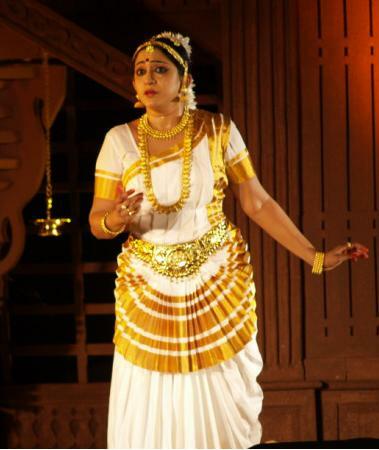 She is the artistic director of the institution, "Nrithyakshetra (Temple of Dance)". Smitha tours India every year, attends major dance festivals within India apart from her world tours.